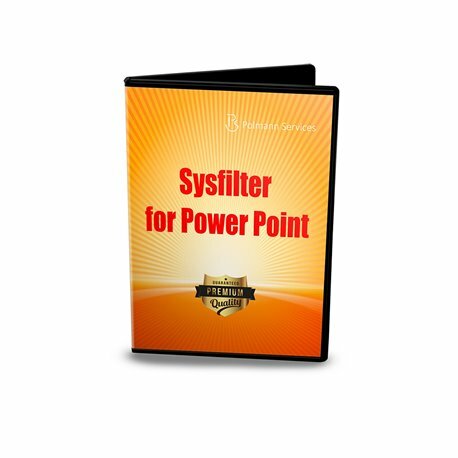 Sysfilter for PowerPoint® provides you with the ability to transfer text from your PowerPoint files to a text processing program of your choice. 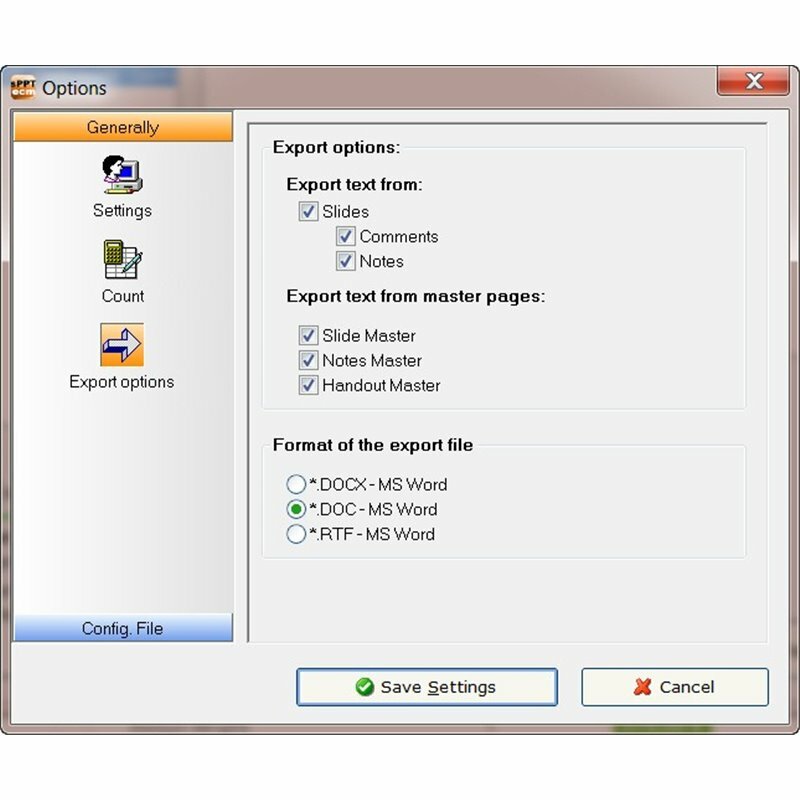 After translation, the text can be imported automatically into the original document. 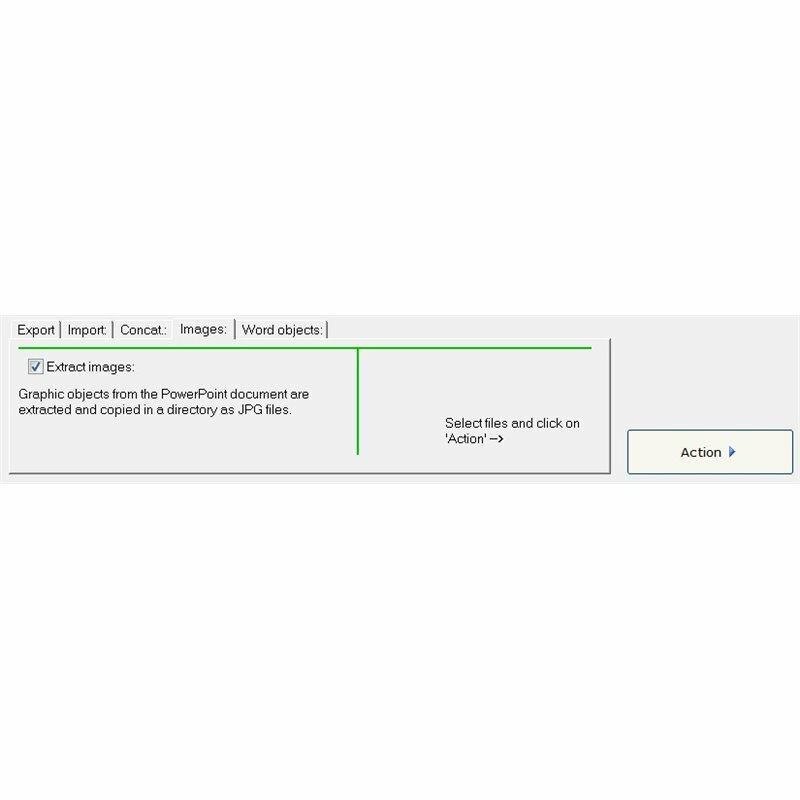 • Images from a PowerPoint document can be extracted. 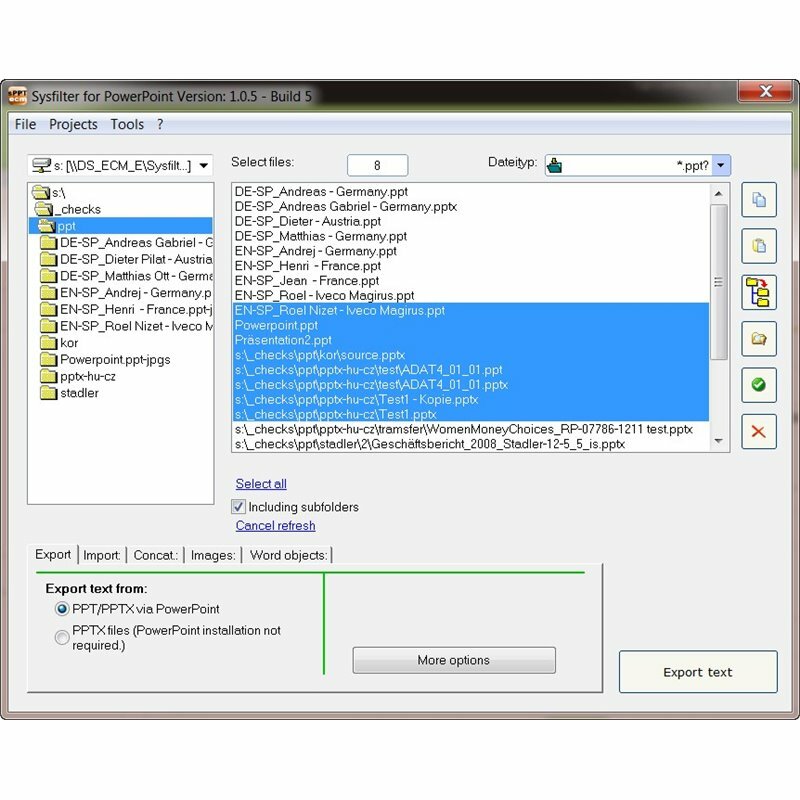 These images will be saved as JPG in a particular directory. A quick check of whether the images contain text for translation is possible. 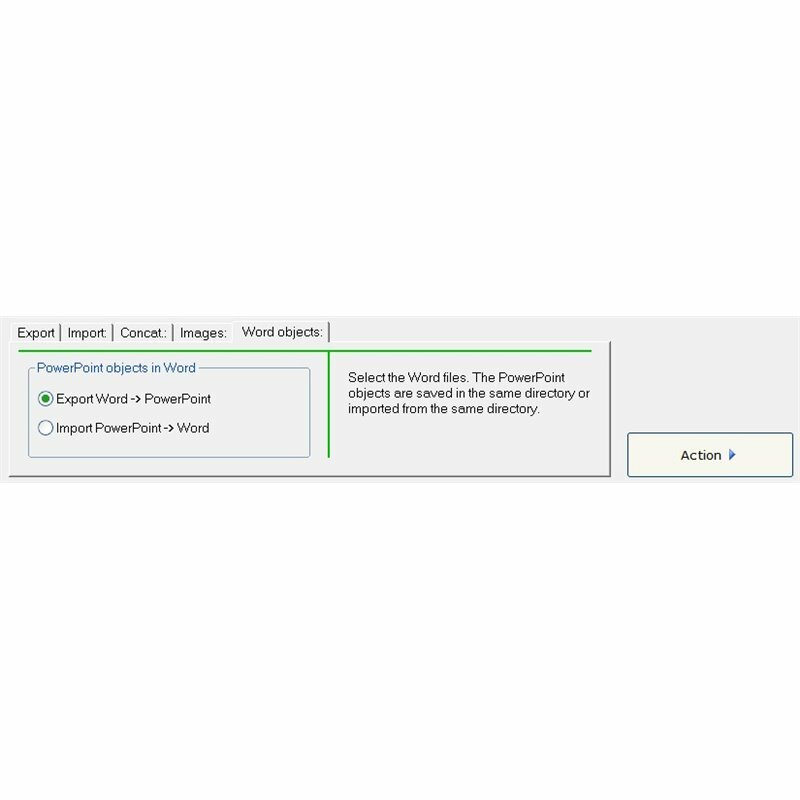 • PowerPoint presentations embedded in MS Word can be extracted and reinserted automatically after finishing the translation. 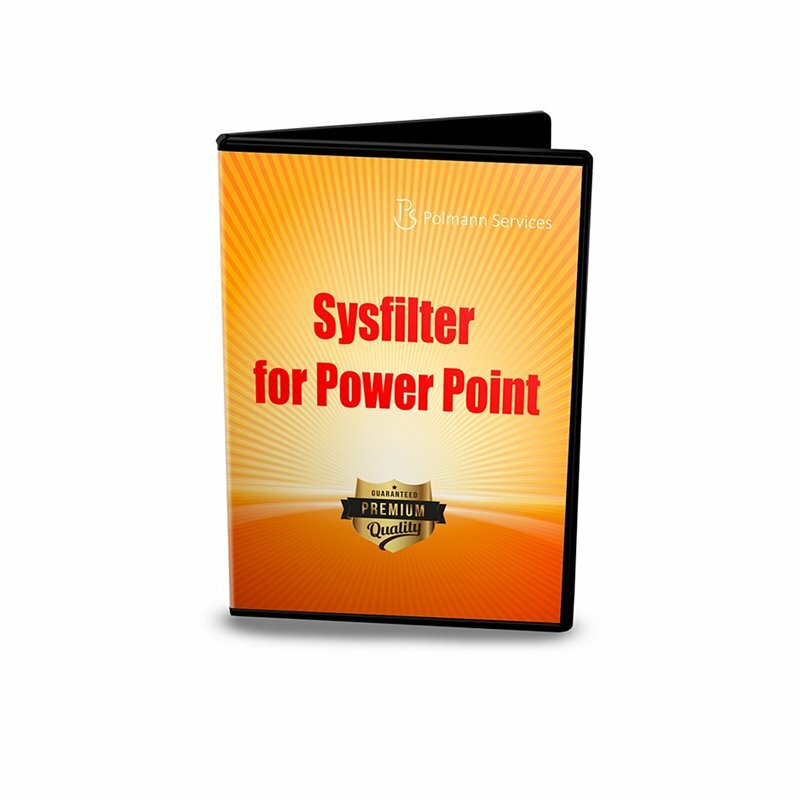 To use all functions of the filter Microsoft PowerPoint version 2003-2013 or 2016 must be installed and functioning properly.